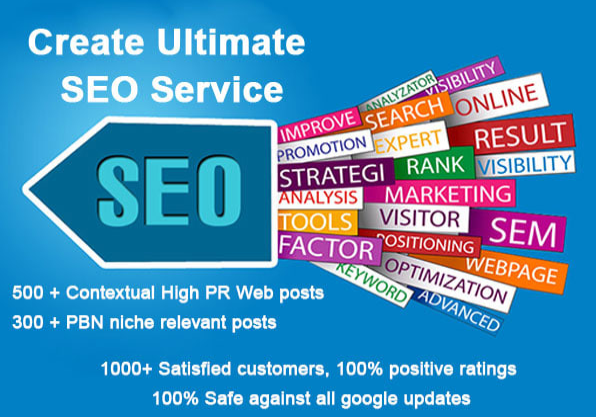 I will create the Ultimate SEO Service with Very High Authority Backlinks to help you boost your RANKINGS! Contextual High PR Web posts with unique and engaging content . Create High Quality PR9 Profiles from really Powerful domains. Natural mix of nofollow, do-follow, anchored, and brand l1nks. profiles and a lot more! You will receive a Full report.